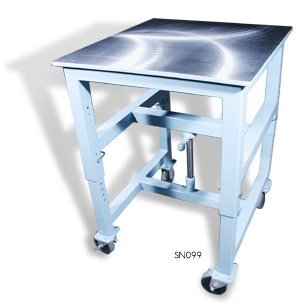 Our Toman ThermoSonics Universal, Compact and Compact Adjustable Machine Stands are built with superior quality in mind. 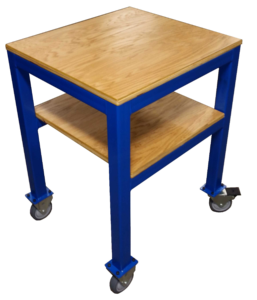 The frame is constructed of 2″ square steel tubing with a strong, non-skid, 3/4″ thick, oak plywood top or 1/2″ thick, ground steel top. 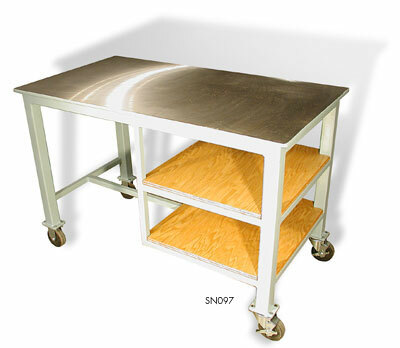 All machine stands have large, easy-roll wheels (two rigid and two swivel/locking) to make them portable, yet secure.